Meditation simply involves clearing your mind and relaxing your body to find a harmonious, serene, boundless, inner milieu. Basically, you train your mind to take a break… and now it turns out that if you have coronary heart disease and you practice meditation, you can lower your risk of heart attack, stroke, and death by as much as 50 per cent. Forget what you’ve heard about meditation. If the word “meditation” conjures up images of incense, finger cymbals and crystals – don’t be put off if those things are not your style, because none of them are necessary to meditate properly. Two recent studies show significant heart health benefits for people who meditate daily and this doesn’t come from some hogwash-source. Both studies are mainstream. One was recently presented at the annual meeting of the American Heart Association (AHA) and one was published in the Archives of Internal Medicine. And the incredible thing is that in both studies all the subjects had coronary heart disease (CHD). Previous studies have shown that a popular form of meditation known as transcendental meditation (TM) may actually help patients control blood pressure. In the most recent study of the two, US researchers from The Medical College of Wisconsin collaborated with a natural medicine school in Iowa. The 200 CHD participants (average age 59 years, with narrowing of arteries in their hearts), were divided into two groups. Half received TM instruction and half did not. Results: Over nine years, rates of heart attack, stroke, and death were all significantly lower in the TM group. The second smaller study, evaluated the efficacy of TM on components of metabolic syndrome and CHD. Metabolic syndrome is thought to be a contributor to CHD. US researchers at the University of Southern California divided 103 CHD patients into two groups. Subjects in one group received 16 weeks of TM instruction. Compared to the placebo group, TM subjects experienced significantly better blood pressure control, reduction of insulin resistance components of the metabolic syndrome and improved heart rate variability. In addition, TM helped subjects control their response to stress. You can find information about the TM technique used in the CHD study on the Transcendental Meditation Programme website at http://www.t-m.org.uk. * Simple: The TM technique is a simple, effortless mental process practiced for 15–20 minutes twice a day, sitting quietly and comfortably in a chair with your eyes closed. * Easily learned: The TM technique can be easily learned by anyone and is enjoyable to practice. * Immediate benefits: The benefits of the TM technique are immediate and increase over time. The technique’s positive effects — for mind, body and relationships — have been verified by hundreds of research studies conducted at top medical schools and published in over 350 peer-reviewed scientific journals. * No belief required: The TM technique does not involve belief or religion. In fact, you can be thoroughly sceptical and the technique will still be fully effective. * Develops the total brain: Brain research shows that the TM technique develops the total brain, increasing creativity and intelligence and improving decision- making and problem-solving abilities. * Reduces stress and high blood pressure: Medical school research funded by the National Institutes of Health shows that the TM technique is the most effective mind-body practice for reducing stress and stress-related disorders, including hypertension, high cholesterol, stroke and atherosclerosis. 7th Floor, 20 Upper Ground, London SE1 9JD. with company number 3303666 and VAT number GB 629 7287 94. The Sustainable Living Coalition built this 1,200-square-foot straw-bale, post-and-beam barn as a main classroom and administrative space. It started in 2004 when a few people in Fairfield were looking for a sponsor for an environmental conference. From the start, a driving force behind the SLC’s vision and educational initiatives was Lonnie Gamble, who with permaculture expert Grover Stock, began teaching a ten-week permaculture course called Big Green Summer. Hundreds of interns trained with Gamble and Stock, living in Gamble’s home. But Gamble and his wife, Valerie, couldn’t donate their time, money and home to educate interns indefinitely. A campus was needed. Fast forward to the fall of 2009. It’s a warm November day at the newly inaugurated SLC campus on the north edge of Fairfield. Briggs Shore and Frank Cicela, two administrators, are there. Shore, a 27-year-old dynamo who trained as an SLC intern and was hired last year as administrative coordinator, is clearly passionate about her job. “We bought the land in 2006 with a grant from Iowa’s Great Places,” she says. The purpose of the campus, she explains, is to become a working permaculture farm and educational center with classes and internships. At age 40, Cicela brings a wealth of experience to the SLC, having established a similar nonprofit called Sustainable Indiana, and shows remarkable dedication by taking an unpaid leave from his job at Clipper Wind Power in Cedar Rapids to spend every other week working for the SLC. Shore points to the 1,200-square-foot straw-bale, post and beam barn that is the main classroom and administrative space for the campus. “We broke ground in January 2009,” she says. The building is functional but awaiting funds for plastering the outer walls, covering the gravel floor with flagstone and completing a five-room dormitory loft. 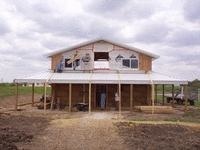 It was erected in just four months with the help of an Amish construction crew for the foundation and dozens of volunteers who provided the massive man hours necessary for straw-bale building. “One of our missions is to partner with other people and organizations,” says Cicela. Collaboration takes many forms. The campus adjoins and makes use of two other sustainable sites for its workshops: the Abundance Eco Village and the Mullenneaux extended-family acreage, which includes three sustainable cob, straw and clay homes. “We’re a few off-the-grid communities who happen to be close together and really good friends,” explains Shore. Other collaborators include Grinnell College and Maharishi University of Management. Future projects include building four-season dormitory space to house 50 interns, a hospitality center, an elderhostel, underground cisterns to store drinking water from the rain catchment system, wetland waste management system, permaculture food forest, edible landscaping, and seed money to extend educational offerings. But ambitious as these plans are, Gamble sees a more visionary goal. “The SLC is a way to foster ecological, micro-enterprises,” he says. As an example, the SLC bought equipment and loaned it to help a local baker get started, and launched the Edible Cityscapes Project, an eco-business that sells fruit trees and provides free labor to plant them properly. Another project in the works: a micro-enterprise center, to help fund sustainable businesses. And the SLC is providing land and sponsorship to a John Jeavons mini-farm center, one of three in the U.S. to be established this spring. For more information about the SLC, contact Briggs Shore at briggsshore@gmail.com or visit sustainablelivingcoalition.org. Linda Egenes is a book author and freelance writer. She lives in Fairfield, Iowa. Donovan is inviting fans and the online community to watch his sold-out concert live on the Internet this Sunday. He will perform his hit songs and cult classics as well as showcasing songs from his new work RITUAL GROOVE as a run up to his forthcoming world tour 2010/2011. Special guest will be talented musician Claudia Koreck, one of the hottest newcomers in Germany. The Link to the Live Stream will be on Donovan’s new Website http://www.donovan.ie/live. 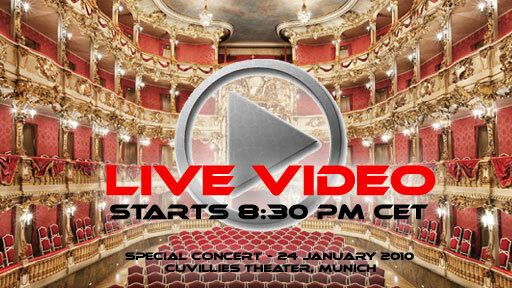 News of the free live webcast concert is also on Donovan’s Facebook and Twitter pages. His fans just love the idea of streaming the concert! http://www.facebook.com/DonovanOfficial & http://twitter.com/donovanofficial. This “Social Media for Social Activism” musical event will support the charity project “Schule ohne Stress” (Schools without Stress) and will increase awareness about the positive effects of the Transcendental Meditation (TM) technique on creativity, intelligence, brain functioning and academic performance. The legendary folk-rock pop troubadour Donovan began his career as an itinerant folk musician and created acoustic hits like Catch The Wind, Colours, Mellow Yellow, and Buffy Saint Marie’s Universal Soldier. Other megahits include Jennifer Juniper, Sunshine Superman, Hurdy Gurdy Man, Season of the Witch, There is a Mountain, Atlantis, and other beautiful songs, which appeared on later albums, like Sutras, produced by Rick Rubin. Dr. Donovan Leitch is a Green-Activist and received a Doctor of Letters from the University of Hertfordshire, an honorary medal as “Officer of Arts & Letters” by the French government, and was named BMI Icon in 2009. 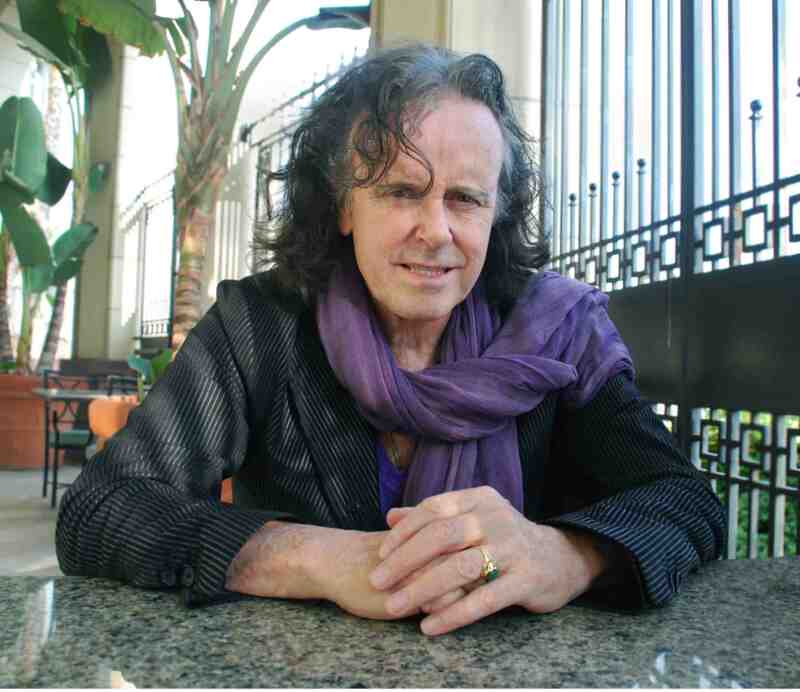 Donovan was one of the few artists to collaborate on songs with the Beatles, contributing lyrics and vocals to the song Yellow Submarine. Donovan influenced Paul McCartney, John Lennon, and George Harrison in their guitar styles, and during his career played with folk music greats Pete Seeger, Joan Baez, and Bob Dylan, as well as rock musicians Jimmy Page of Led Zeppelin and Brian Jones of the Rolling Stones. An image from David Lynch’s “Mulholland Drive,” named the best film of the decade in a survey by the LAFCA. The Los Angeles Film Critics Association (LAFCA) announced their selections for the best of the 2000s, with “Mulholland Dr.,” from director David Lynch, topping the list. The LAFCA’s choices were announced today by Brent Simon, President of LAFCA. This is the organization’s inaugural survey of the decade in cinema. “Famously salvaged from a rejected TV pilot, Lynch’s film stands as both a cautionary tale and a mascot for the triumph of art and personal vision in an industry that, from where we sit, often seems actively devoted to the suppression of both,” the organization said in an essay announcing its choice. The film also topped a recent list of the best 150 movies of the decade published on the Film Comment website, and the recent indieWIRE survey of nearly one hundred film critics and bloggers, with Wong Kar-wai’s “In The Mood for Love” at number two and Edward Yang’s “Yi Yi” at number three. “In The Mood For Love” was surprising omission from the LAFCA list. Check out the LAFCA’s 2009 awards here. A personal note: How auspicious, as today, Jan 12, is also the birthday celebration of David’s guru, His Holiness Maharishi Mahesh Yogi, founder of the TM technique, of whom David is making a documentary film. Mercola.com bills its free, twice-weekly newsletter as “The World’s Most Popular Natural Health Newsletter.” Each e-mail has 4-5 timely health tips, most of which seem to be based on recently published research. A just-published study suggests the practice of meditation may bring cardiovascular and mental-health benefits. The research, followed close to 300 students, half of whom practiced transcendental meditation for 20 minutes once or twice daily over three months. A subgroup of subjects in the meditation group who were at increased risk for hypertension significantly lowered their blood pressure and psychological distress, and also bolstered their coping ability. The average reduction in blood pressure in this group — a 6.3-mm Hg decrease in the top (systolic) number of a blood pressure reading and a 4-mm Hg decrease in the lower (diastolic) number — was associated with a 52 percent reduction in the risk of developing hypertension in the future. Meditators who were not at increased risk for hypertension saw a reduction in psychological distress, depression, and anxiety as well as increased coping ability. As the new year begins and you resolve to make healthier lifestyle choices, I strongly encourage you to add a few minutes of meditation to your daily routine. Just 20 minutes a day can begin to make a big difference in how you feel mentally, physically and emotionally. When your mind is calm and your emotions are within your control, you’re in a much better position to tackle all your normal responsibilities plus the goals you’ve set for yourself. Feelings of stress and overwhelm that keep you stuck in unhealthy behaviors can be greatly relieved by a regular practice of meditation. As the clouds in your head clear and anxiety is minimized, you’ll be amazed at how energized and capable you feel. I suppose for the same reason that history repeats itself we find that a study now shows that meditation can elicit positive changes in our physiology and mental state. This is NOT new news. I learned TM back in the early 90’s and was made aware of studies at that time showing that TM could have a positive effect on hypertension among other things. We seem to forget what we already know, over and over again. Dr. Mercola, I’m curious why when reporting a study citing transcendental meditation as the specific modality used you would then turn around and attribute the results to other meditation techniques that weren’t studied. There was no basis from the study reported to leap to that conclusion. It strikes me as being somewhat akin to quoting research that perhaps found that Lexus has a high safety rating in front-end impacts, and then turning around and recommending that your readers buy Yugos, Fords, and any other car of their choice if they want to stay safe in a front-end collision because the study showed that if you were in a car during a front-end collision, you would be safe. Whatever the merits of the other car manufacturers, even if they are equally safe or safer, the quoted study would only have talked about Lexus, and the results couldn’t be extrapolated to other cars. Neural imaging and EEG studies indicate that TM practice creates a unique brain pattern: it is the only meditation technique known to create widespread brainwave coherence. The TM technique also produces deeper rest than other practices, and studies show the technique to be more effective at reducing anxiety and depression and increasing self-actualization. A website, Ask The Doctors, discusses results from other forms of meditation and TM at http://bit.ly/5z087e. Over 40 years, and 700 scientific research studies later, the TM technique continues to demonstrate the health benefits to mind, body, and behavior, for the individual and society as a whole. Further studies continue to add to this impressive body of research on the most widely studied and practiced technique for health and human development. Thank you for this opportunity to share this information with you and your readers. The Sustainable Living Department of Maharishi University of Management will offer a free showing of the film, The Green Dragon, in Dalby Hall on Monday, January 11, 8:00 pm, at the Argiro Student Center. “The rapid development of China’s green building movement, from nothing in 2000 to what is now, approximately 4 million m2 of green building construction (not including sustainable developments), is a story worth telling,” says Ken Langer, President, EMSI, an international leader in green building and sustainable community design consulting. For reference, the US now has 12.5 million sqm after 30 years of a green building movement. Max Perelman is the research director and co-producer of the Green Dragon Media Project, a 9-week research and filming expedition to 9 cities along China’s east coast. Interviewees included Chinese government officials as well as the leaders of major developers, professional services firms and product manufacturers. Max Perelman is a LEED Accredited Professional and is a project manager with BuildingWise, LLC a high performance building consulting firm headquartered in Moss Landing, CA. Max is also the president of American Environmental & Agricultural, Inc., an import/export and trade consulting firm specializing in environmental technologies and focused on trade between Asia and North America. He is also an advisor to the Joint US-China Cooperation on Clean Energy. Max speaks and reads Japanese and Mandarin Chinese. 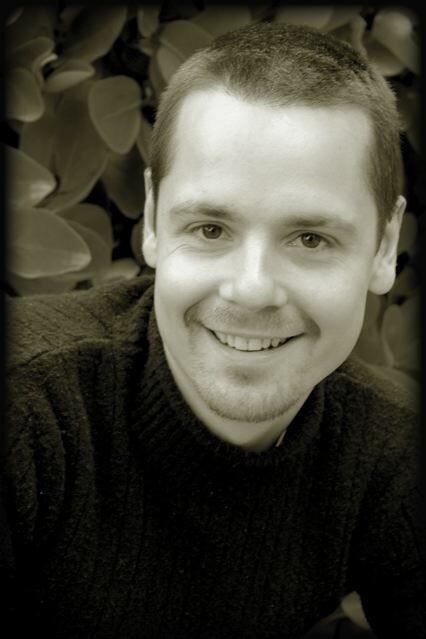 Max has a BA from Cornell University, as well as an MBA and MA in International Environmental Policy from the Monterey Institute of International Studies. He has presented at a number of green building conferences including the USGBC’s Greenbuild 2007 in Chicago and WestCoastGreen 2008 in Silicon Valley. He has also published research in the Woodrow Wilson Center’s China Environment Series. Max’s recent volunteer work includes fundraising for strawbale construction in the Chinese provinces of Heilongjiang and Sichuan, and volunteering for the local Pacific Grove, CA city government as a Planning Commissioner. While visiting M.U.M. and Fairfield, Max Perelman will also meet with students, faculty, and community leaders, and anyone else interested in sustainable building, international environmental policy, and urban development in China and the US. For more information, email sustainableliving@mum.edu and visit the film’s website www.greendragonfilm.com. When you think of Iowa, you think of cornfields, you think of caucuses, you think of old-fashioned country-living. Chances are, you don’t think of meditation <http://abcnews.go.com/Entertainment/popup?id=7249295> and communal living. Welcome to Maharishi Vedic City, Iowa — the only city in the country built on the tenets of transcendental meditation <http://abcnews.go.com/Health/MindMoodNews/story?id=7263240> , for meditators, by meditators. Meg and Erik Vigmostad moved here from St. Louis in 1982. Vigmostad acknowledged that the couple’s families thought they were “crazy” for making the move. Crazy, because those words, “transcendental meditation,” sound, well, different. Many people first heard of transcendental meditation, or TM, in the 1960s, when the Beatles started following Maharishi Mahesh Yogi, the official founder of TM. The followers of Mahesh Yogi — mostly from East and West Coast universities — moved to Iowa en masse in 1974 to set up their own college, the Maharishi University of Management. The group chose Iowa because that is where they could find the land. Now the settlement features two huge domes, one for men and one for women, with residents streaming in to meditate together twice a day. But at the university and in the city, the commitment to Vedic principles of natural law and balance, derived from ancient Sanskrit texts, goes far beyond meditation. The community has banned the sale of nonorganic food within its boundaries. And that’s not all. “The primary characteristics of Vedic architecture, the most obvious one, is that ideally, buildings face east, the direction of the rising sun,” said Jon Lipman, the country’s leading Vedic architect. Lipman says the buildings at the university and most new houses in town are constructed in line with ancient precepts. “Just like the organs in the human body, there is a right place for different kinds of functions within a building,” Lipman said. Every Vedic building has a silent core known as a Bramastan, which is lit by a skylight and is never walked on. Lipman claims miraculous effects. Lipman said “it’s a real challenge” to be poor, unhappy or unhealthy if you live in a Vedic building. The Vigmostads live in a Vedic house, and seem like happy customers. “It feels harmonious, it feels orderly, there’s a lot of silence here that was definitely not in our other house that we owned,” said Meg Vigmostad. The talk of order and inner peace might sound unbelievable. But it is also the work of Vedic City to make it all … believable. Fred Travis, director of a university facility called the Center for Brain Consciousness and Cognition, demonstrated an EEG monitor of neurological electrical activity that he said shows that TM makes the brain more organized. “What this is measuring is the electrical activity of the brain,” Travis explained as a member of the community hooked up to the machine sat and meditated. “You see this one going up and down?” Travis said, pointed to a gauge. “Look at the one next to it. It goes up and down in a similar way. This is called coherence. When the similarity of two signatures are very close, it suggests those two parts of the brain are working together. Neurologist Gary Kaplan, a proponent of TM, said such “coherence” will bring happiness, success — even world peace. It is a lot to digest — but then you don’t really have to. The TM followers insist they are not a cult. They all have normal jobs, for the middle of Iowa, and they are not out to recruit you. They just want you to know the option is there. Famed filmmaker David Lynch spends a lot of time in Vedic City. He started the David Lynch Foundation, which, in the last four years, has provided scholarships for over 100,000 kids to learn to meditate for free in schools across the country. “Nightline” was told there wasn’t enough time to properly learn transcendental meditation on a short trip to Vedic City. But to get a feeling of the Vedic way of life, we did visit the Ayurveda Health Spa in Vedic City — the leading spa of its kind in the country. Ayurveda is a system of health and healing involving food and behavior that originated in India thousands of years ago. Toomey said he can learn a lot from feeling a person’s pulse. He demonstrated on our correspondent. Next up was the Shirodhara treatment. And what’s so wrong with that? In Vedic City, they have made that their way of life … in the middle of Iowa. Here are two of my favorite famous relevant quotes on understanding truth and accepting the changes they bring for the better—a paradigm shift. 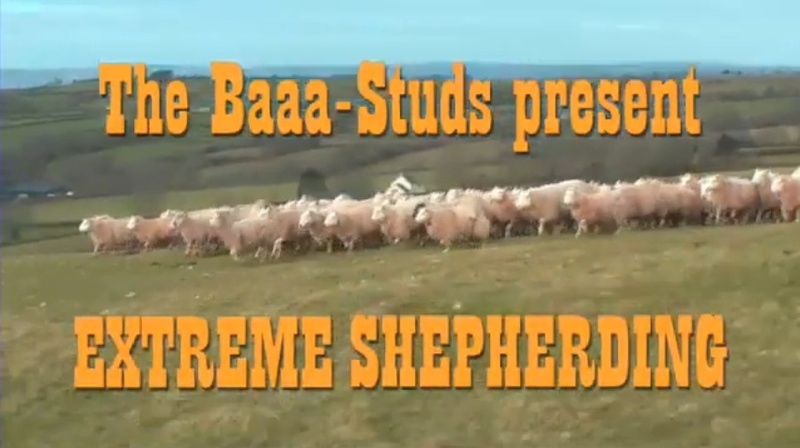 These creative characters (BaaaStuds) took to the hills of Wales armed to the teeth with sheep, LEDs and a camera, to create a huge amazing LED display. Of sorts. Looks like they did it as a promotional video for the Samsung LED TV. CBS interviewed these Welsh shepherds and got the story behind this hugely successful (around 14 million views by now) viral video campaign. It seems Samsung commissioned a commercial in which lit up sheep move to choreographed movement, Elizabeth Palmer reports. Harry Smith spoke with the Scottish men behind the sheep.